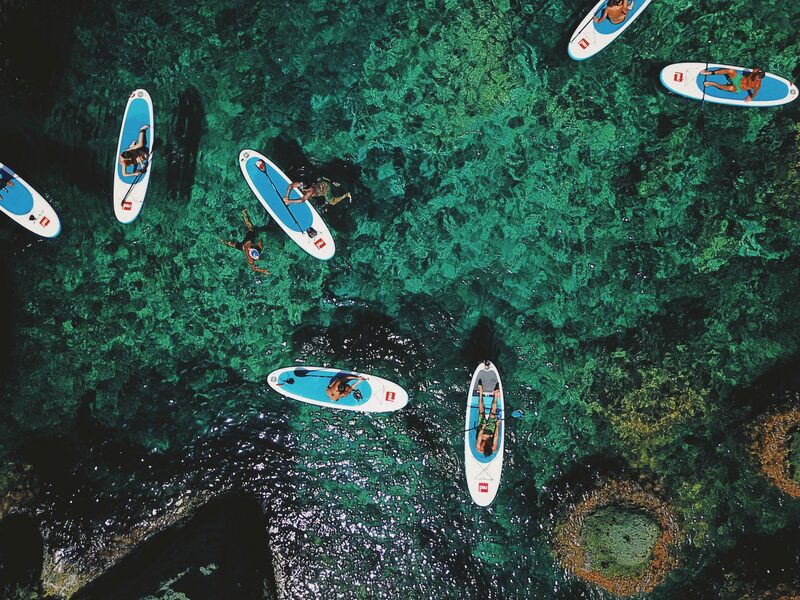 Stand up paddle rental in Sardinia Island, we are here to help you create the unforgettable memories while paddling through the clear blue sparkling sea and river of Bosa. Feel the gravity of nature. SUP rental with us could not be easier! Simply purchase and arrange delivery of the board/s to your residential location in Bosa. No experience necessary! An optional 10-minute lesson is included with all rentals. Pump, adjustable paddle – safety leash. 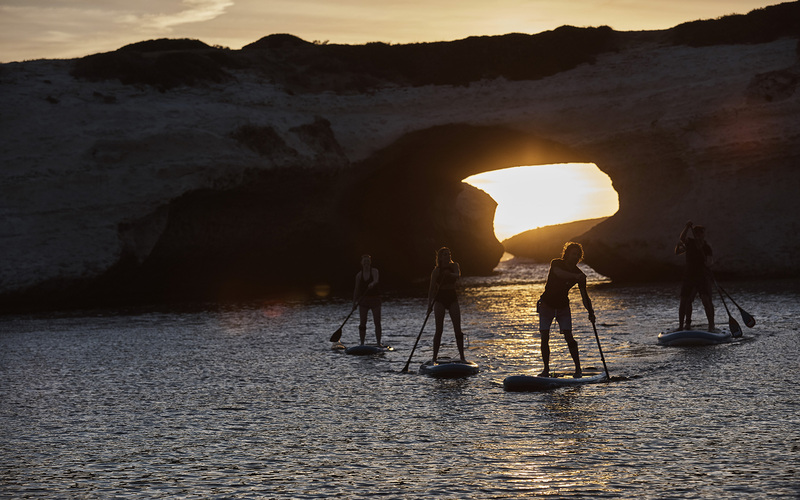 Super premium inflatable paddle boards rental including “Gear of the Year” Award-winning RedPaddleboard Co boards. It’s already the world’s most popular inflatable SUP but continues to win numerous SUP industry and consumer awards. Such success is due to the unrivalled quality, durability and innovation of all Red Paddle Co boards, but also the versatility of the inflatable SUP. It’s designed to float and glide easily on flat water, and it has just the right amount of curve in the plan shape so it rides smoothly and predictably in the surf, no matter what kind of rider you are. The Red embossed deck pad offers comfort and grip and a diamond cut rear section provides even greater grip and stability when performing step back turns or during occasional use in the surf. It comes with our industry-leading Titan pump as standard which will have your board inflated in half the time with half the effort and packs down neatly to fit into our all-terrain backpack making transportation and storage simple. Your rental includes a paddle, personal flotation device, and an ankle leash that attaches to the board. Paddleboarding is a water sport that often involves complete immersion (jumping or falling into the water). It is important to dress for swimming, without shoes or cumbersome layers. Wetsuits are available to rent and recommended during the shoulder season (April-May, September-October). Maybe you would be interested in combining yoga and paddle boarding? We have an experienced instructor and you can read about her on our SUP YOGA page. You don’t have experiences with paddle-boarding? Book a private lesson with a certified ISA SUP instructor, who will show you how to deal with equipment, make an introductory sup course, show you a couple of easy manoeuvres. Once upon a board, Red Paddle Co-founder, John Hibbard, realised there might be a better way of doing things. It was 2008 and paddle boarding was just getting going. As he paddled along on a heavy composite SUP, he had this crazy idea that it could be made better with an inflatable board.